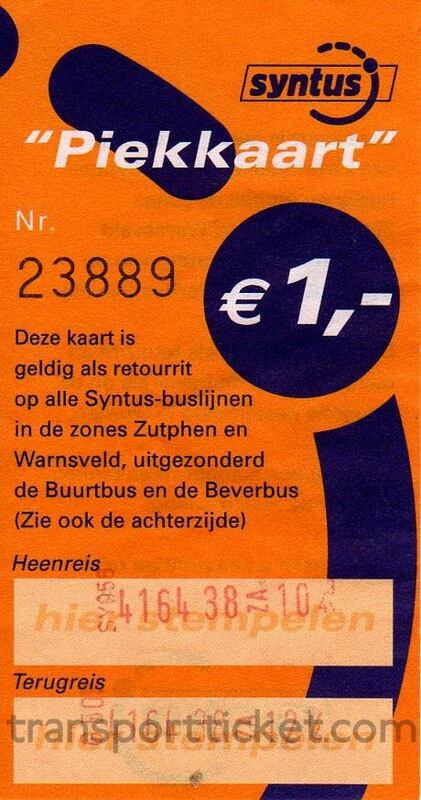 Syntus was founded in 1999 by Nederlandse Spoorwegen (NS), Connexxion and French company Cariane Multimodal International (CMI, now Keolis). In 2007 Connexxion sold its shares to the other shareholders. Since 2013 Syntus is a 100% subsidiary of Keolis. Syntus means Synergy between train and bus. As of December 2017 newly acquired routes are operated as Keolis. This means that the name Syntus will cease to exist in 2023. Syntus introduced in september 2004 the Weekenddagkaart (Weekend day rover). This day rover was based on the German Schönes-Wochenende-Ticket (SWT, Beautiful Weekend Ticket). It was valid on saterday, sunday or a holiday on all Syntus trains and buses, except night trains and night buses. 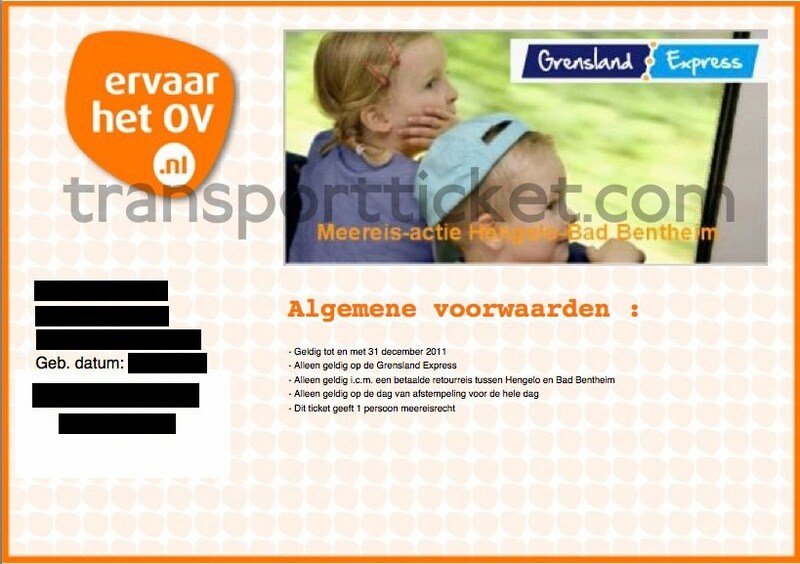 Unlike the German SWT the Weekenddagkaart was only valid for a maximum of two adults and three children (4-11 years). 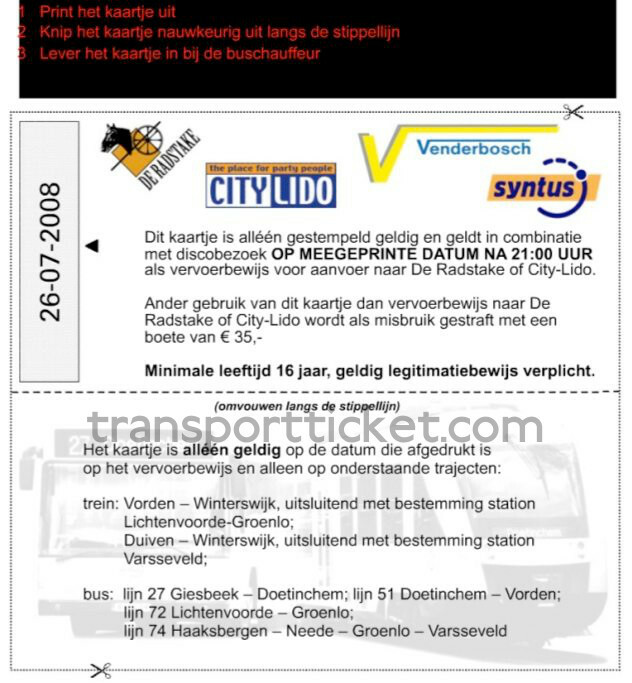 After a 4-month trial period the ticket became definitive in 2005. 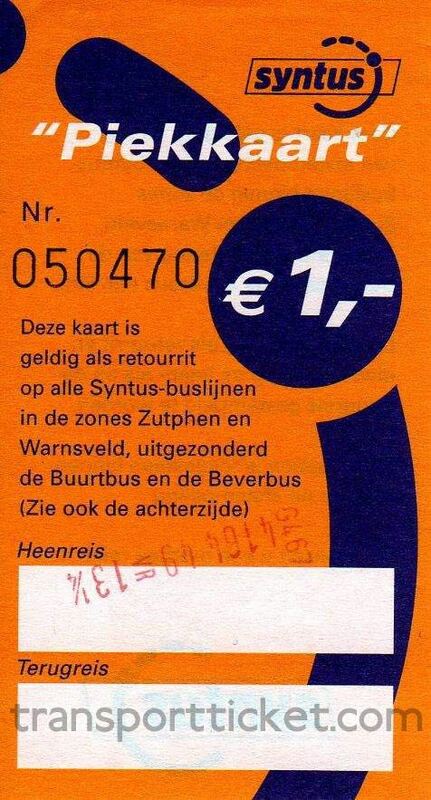 In june 2005 the validaty was expanded to the buses of BBA (later: Veolia) in the Veluwe area and the buses of Arriva in the Rivierenland area. In the same month the province of Gelderland started a campaign to promote the Weekenddagkaart. The railway service Zutphen - Apeldoorn by NS was added in 2006. After two years, in 2007, the province stopped the campaign. Sales had risen only in the Achterhoek area. 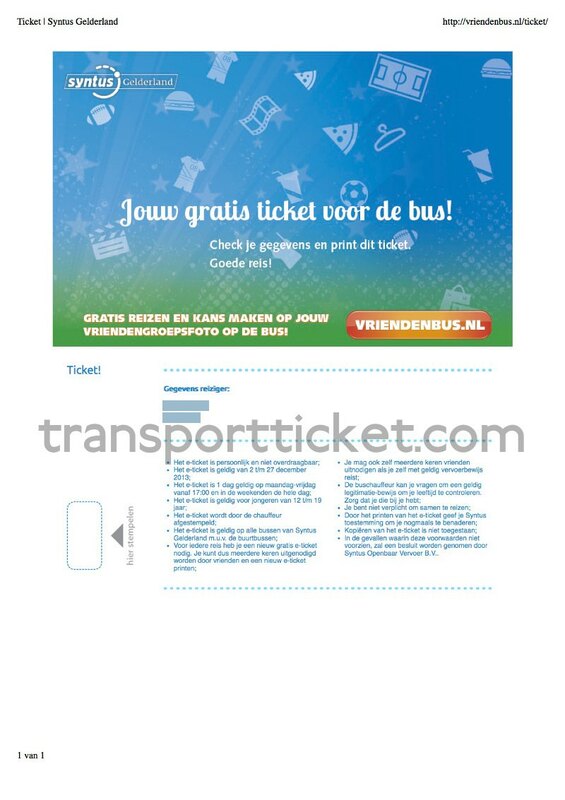 According to the the province this was due to the possibility of using the ticket in trains in the Achterhoek. Especially in the Rivierenland area sales were disappointing. The province believed this was due to the limited operating schedule in this area. 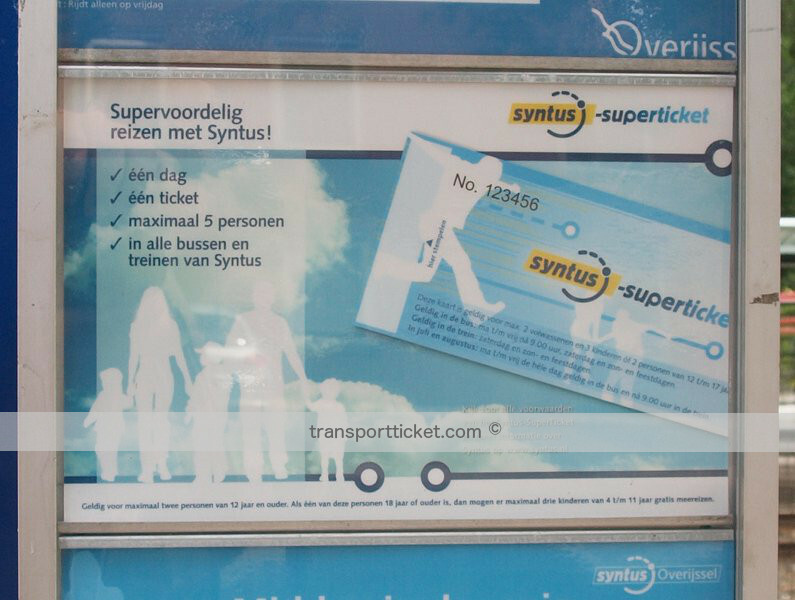 As a replacement for the Weekenddagkaart Syntus introduced in july 2008 the Superticket. This dayrover had the same rules as the Weekenddagkaart with a few exceptions. 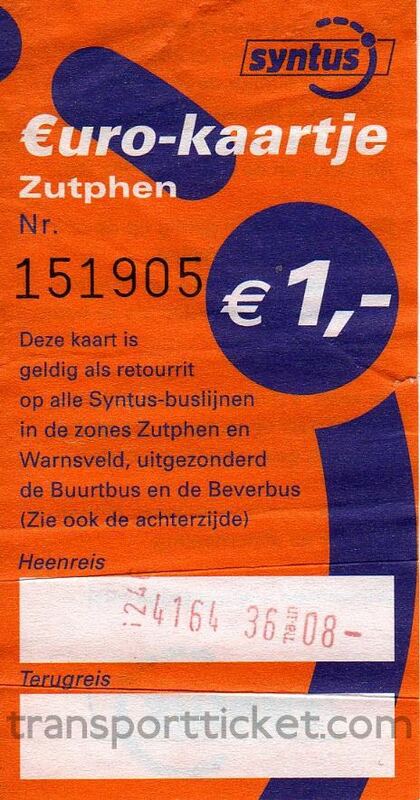 The Superticket was only valid in Syntus buses and trains. In Syntus buses the ticket was valid during the entire week. 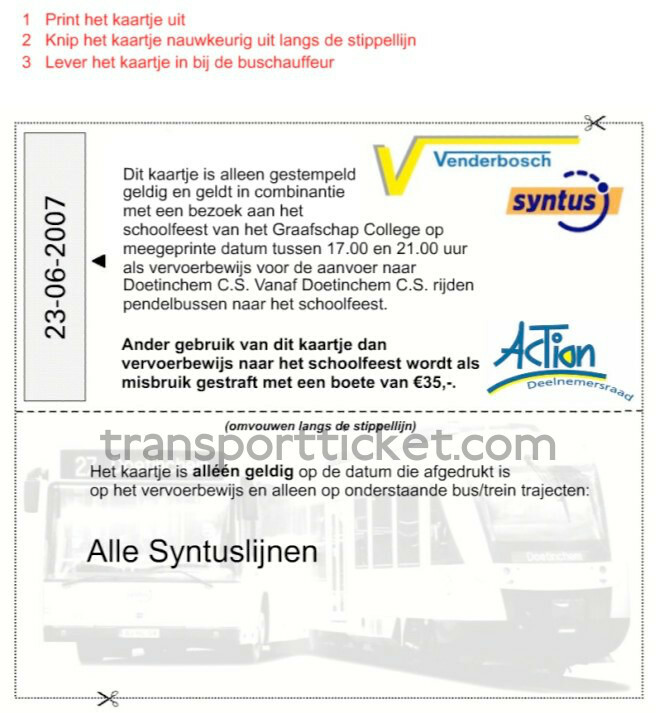 The Syntus Superticket was discontinued at the end of 2015. 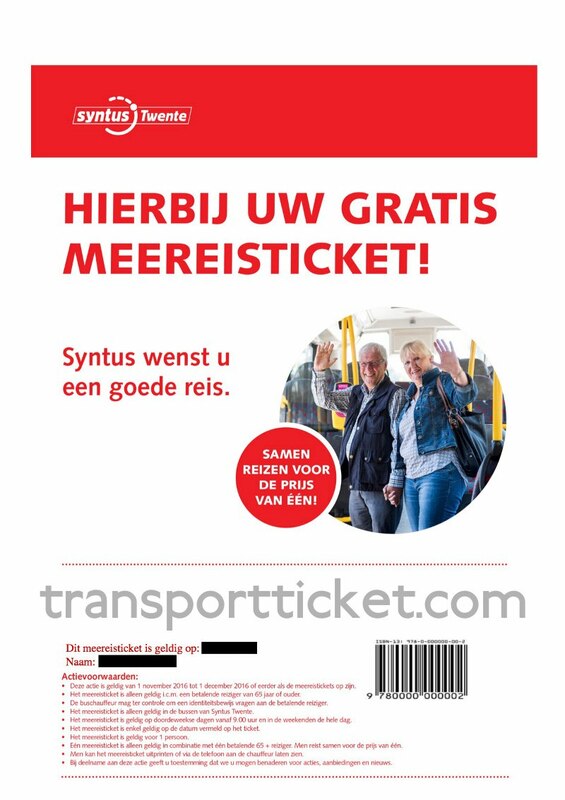 It was replaced by the Meermanskaart ('More persons ticket') which was introduced in July 2013. This ticket has a far larger validity. 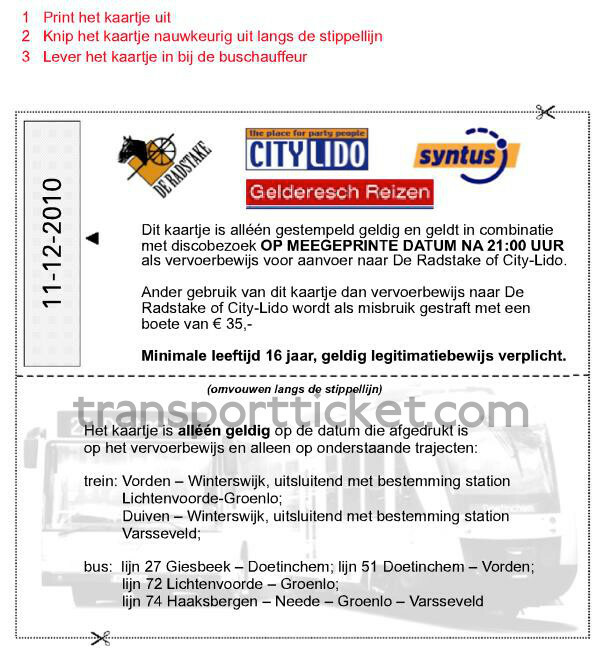 It is valid on (almost) all buses in the provinces of Gelderland, Overijssel and Flevoland. However, it is not valid on trains. Syntus its area of transportation started out mainly in the eastern part of the Netherlands. 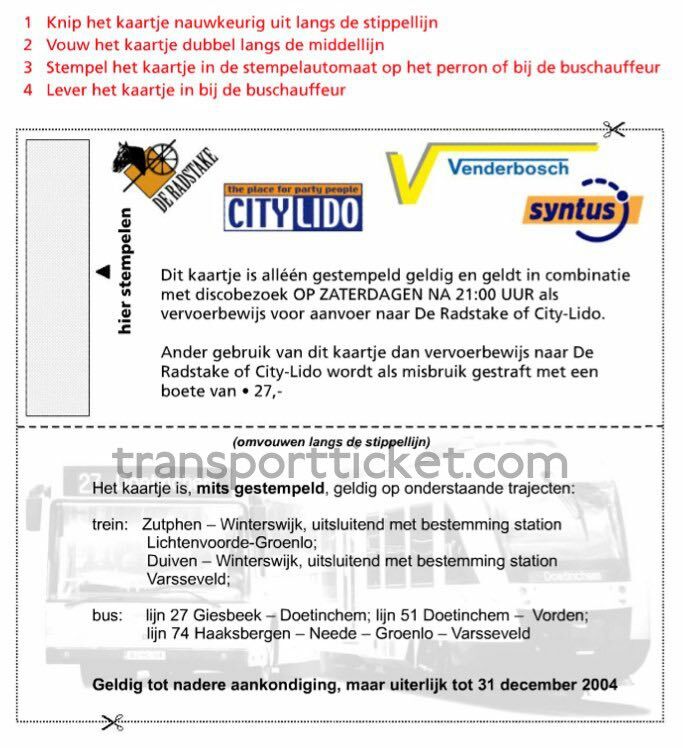 December 2017 - 2032 route Zwolle - Kampen trains These routes are not operated as Syntus, bus as Keolis.